If you think you know everything about the Sentosa Merlion, think again. 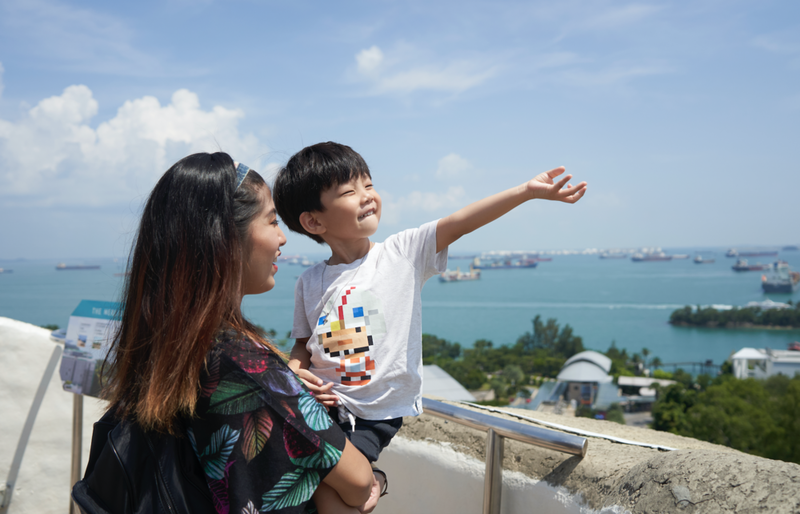 Discover new trivia and learn how the Sentosa Merlion came to be the Guardian of Prosperity of Singapore at the only Merlion open for exploration! What is the Sentosa Merlion? Legend has it that the Merlion would visit Sentosa Island every year to guard Singapore’s well-being. One dark night, the island was threatened by a violent storm and the Merlion fought the thundering skies with its magical powers and preserved the land. This mighty legend remained permanently on the Island through the years to protect Singapore by watching over the ever changing skyline of the Central Business District area and harbour, as well as the country’s economic growth. If you think you’ve seen and heard it all, there’s more to the legend inside. Who knows, you could be in luck to uncover more than just curious tales upon entering into the larger-than-life icon! Take a sneak peek at the iconic Sentosa Merlion experience. Join us as we explore the fascinating gallery within the Singapore icon itself.